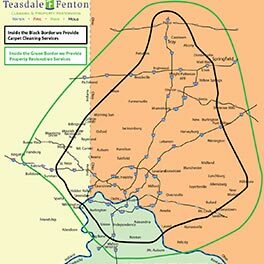 At Teasdale Fenton, we have a reputable history dealing with fire damage and helping homeowners rebuild after a fire. We can handle the entire fire damage restoration process from water extraction and repairs to removing smoke and soot damage and odor. On top of that, we also offer professional cleaning for your damaged, carpets, rugs or dirty tile floors. Every fire damage situation presents challenges and oftentimes heartache from property loss. But, at Teasdale Fenton, we promise to restore your property quickly and efficiently so you can recover sooner and get back to your normal routine as soon as possible. We also work directly with your insurance company to minimize the stress you have to deal with. 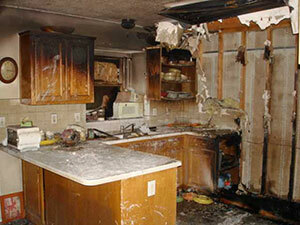 When you need fire damage restoration in Dayton, OH, you need Teasdale Fenton. Our cleaning and restoration specialists are IICRC certified and use modern equipment and innovative technology to restore your property after a fire. Teasdale Fenton is your one-stop solution for fire damage and other cleaning and restoration services in Dayton, OH. We work with you through every step of the process from your first call, to cleaning up and moving your items back where they belong. Contact us at 937-600-6717 when you need emergency fire, smoke and soot damage restoration.